Come celebrate Darby’s birthday and honor our country’s fallen heroes with a CSAUP event for the record books. 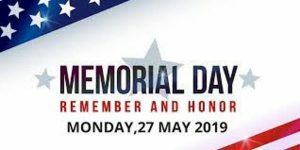 We will kick it off with a night movement starting at 0000 (12:00 AM midnight), and going until 0700 where we will meet the main effort, and conduct a memorial day workout in honor of the fallen. Money collected will go to support Freedom Has a Face who inspires and connects individuals of this great nation with those killed in action and their families by forming “community” through technology, media, and financially through our Gifts of Gratitude fund. WHAT: Memorial Day Ruck and Convergence workout. Donations gratefully accepted! WHEN: Come for 1 or both!